Is there a place where people can go to have fun, get a little wild and sing along to real, accomplished musicians who play not one, but two grand pianos, as the audience sings along in “perfect harmony”? Yes, there is indeed such a place. It’s called “The Big Bang!” and it’s now located in an exciting new venue in Cleveland, Ohio’s Flats East Bank Development. This exciting entertainment spot also has venues in Nashville, Tennessee and Columbus, Ohio, so it’s clear this is a party that is really catching on in a big way. 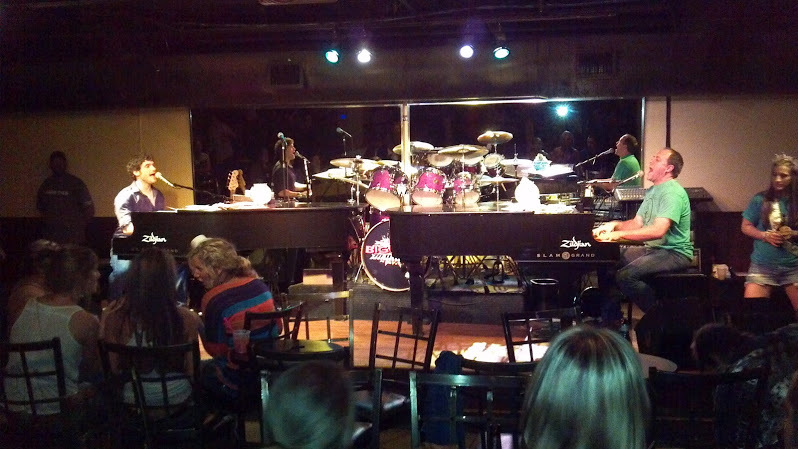 “The Big Bang!” is the jazzy, snazzy piano bar where the hits just keep on coming! 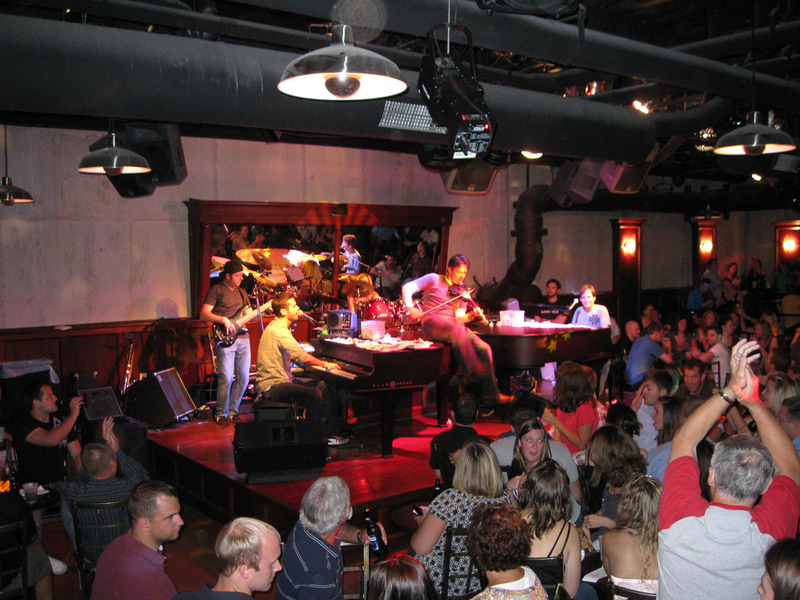 This piano bar is more than just a tiny little club, it’s a major 4700 square foot performance venue that features two beautiful grand pianos, played by top tier musicians who love to entertain as they let the singers in the audience shine. These pianist performers know how to really mix it up, as they switch from performing favorite tunes requested by the crowd to providing musical accompaniment for singers in the audience who come up onstage to belt out songs. The opening of The Big Bang Bar in the Flats East Bank Development is exciting for the city’s nightlife as this area has become incredibly revitalized in recent years. The Big Bang Bar, with its bar offerings along with small plate specials, offers nightlife lovers in Cleveland, from students to grownups to grandmas, another chance to come out and mix, mingle, and strut their stuff on stage. For those who really know how to carry a tune, the scene at the Big Bang Bar is sure to be irresistible. The Cleveland Big Bang Bar venue is located at 1163 Front Avenue. The club offers a happy hour plus nightly drink specials as well as fun party packages and special events. Folks who missed out on vaudeville, or who are still longing for that major rock and roll stardom moment, will love the sassy musical scene at the Big Bang Bar!